If you want to experience the "Real Deal", take time out to find Kenny Neal. 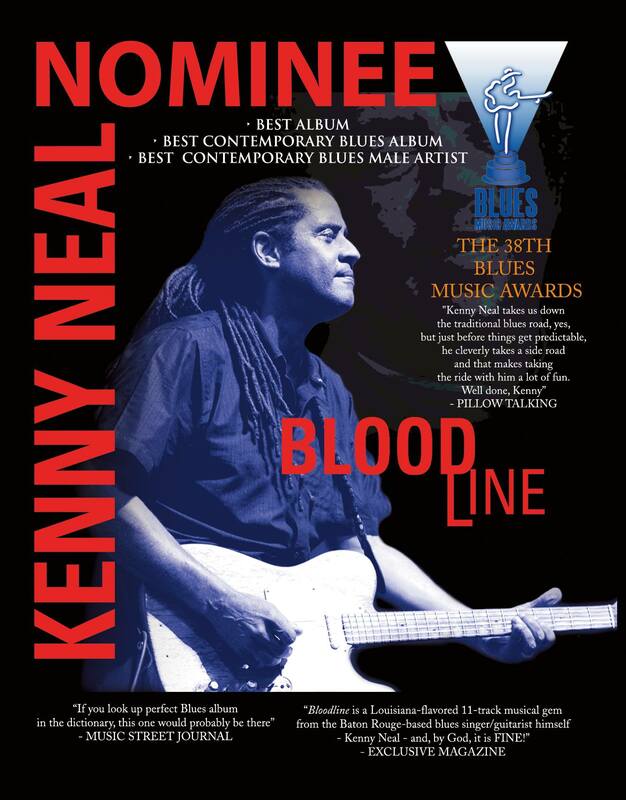 One of the strongest modern proponents of Baton Rouge swamp blues, Kenny Neal is a second-generation southern Louisiana bluesman who is cognizant of the region's venerable blues tradition and imaginative enough to steer it in fresh directions. Neal was born on October 14, 1957 in New Orleans. His dad, harpist Raful Neal, was a Baton Rouge blues mainstay whose pals included Buddy Guy and Slim Harpo (the latter gave three-year-old Kenny his first harmonica). At age 13, Neal was playing in his father's band, and at 17, landed a job playing bass for Buddy Guy. The guitarist recruited some of his talented siblings to form the Neal Brothers Blues Band up in Toronto (brother Noel later played bass behind James Cotton; five other Neal brothers also play in various bands) before returning stateside. In 1987, Kenny Neal cut his debut LP for Florida producer Bob Greenlee, an updated swamp feast initially released by Kingsnake Records as Bio on the Bayou. The following year, Alligator Records signed Neal and reissued the debut under the title Big News from Baton Rouge!! Young Neal was on his way. Neal's sizzling guitar work, sturdy harp, and gravelly, aged-beyond-his-years vocals served him well, and he cut four albums for Alligator Records between 1989 and 1994. An acclaimed 1991 stint on Broadway in a production of Mule Bone found him performing acoustic versions of Langston Hughes' poetry set to music by Taj Mahal. In 1998, Neal moved from Alligator to the blues division of the jazz-based Telarc Records, releasing three albums for the label: Blues Fallin' Down Like Rain (1998), What You Got (2000), and One Step Closer (2001). In the new millennium, Neal recorded sets for a variety of independent labels, including Easy Meeting (a 2003 collaboration with Billy Branch), Double Take (2004, a one-shot return to Alligator), and A Tribute to Slim Harpo and Raful Neal (released in 2005 for True Life Entertainment). Three years later, Neal hooked up with Blind Pig Records and released Let Life Flow in 2008, once again incorporating his gritty Louisiana roots with a sophisticated Chicago/Memphis soul approach. A second Blind Pig release, Hooked on Your Love, appeared two years later in 2010. In 2015, Neal released his first holiday-themed album, I'll Be Home for Christmas. It was his first album for Cleopatra Records, which also issued his critically acclaimed release, Bloodline in 2016.